Antique Empire Sofa – (Purple!) 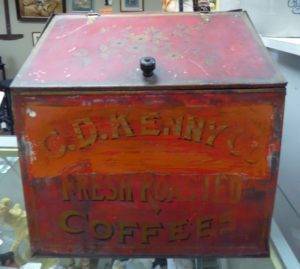 and a Huge Old Coffee Bin. Coming Up! China and Quilt Appraisal Day with Denise Ohnysty and Friends! May 27th, 12 noon to 2 pm, bring in your Favorite Quilt and/or China for Casual Appraisal – Free!! Limit 3 Items please. 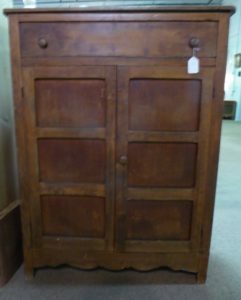 Valley Pie Safe, Booth 1044 – $395.00. 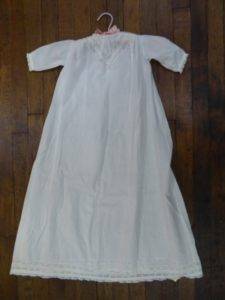 Vintage Christening Gown, Booth 87 – $28.00. 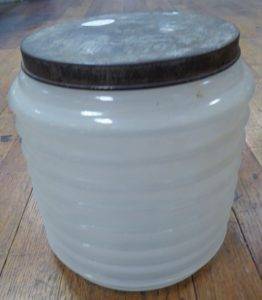 Store Flour Jar from Booth 44 – $40.00. 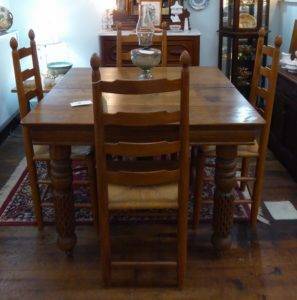 Square Oak Table, $195 – EA Clore Chairs (4), $820.00 – Booth 20. 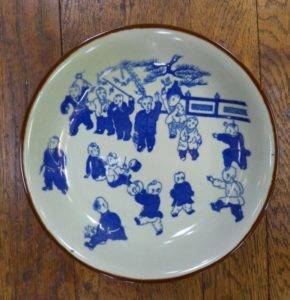 Chinese Plate/Bowl – $55.00, Booth 407. Wonderful Old Coffee Bin $155.00, Booth 27. 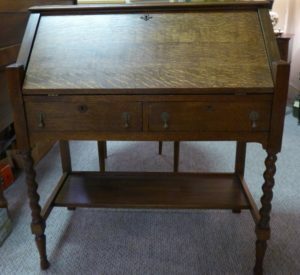 Mission Oak Style Slant Front Desk – Booth 33ha – $360.00. 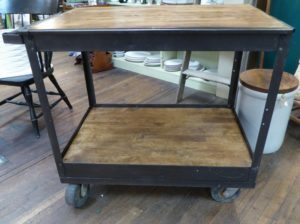 Industrial Rolling Cart – w Wooden Shelves – $395.00, Booth 38. ‹ Just In! Chinese Window and a Pair of Bamboo Chairs!